I watched my weight, I ate healthy but in moderation so that I will not gain much weight and the baby inside me will not grow big. Here are my weights during my pregnancy. For a 5’2 like me, I still had a normal BMI. Now – here’s my weight, a bit heavier than before. 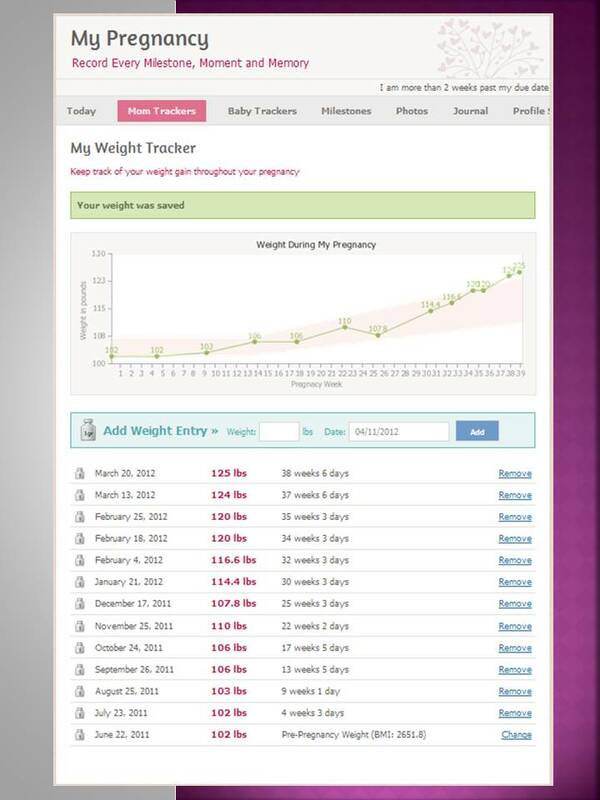 I was at 117 lbs during my 32nd week, but now with our second baby, I am weighing the same at my 24th week! Really heavier! I can’t imagine how heavy I would be during my last term, of course heavier than 125 lbs. But it’s okay – I still am on a normal range. The weight tracker I used before is now inactive, the site is now gone, that is why I installed the enfamama on my phone, yun nga lang, this app does not have the option of inputting the weeks where the weight is tracked – I just need to take note na lang.